As I was going through the application process I was extremely confused if I really wanted to sign a lease, yet with the manager team it really helped me realize that I was signing a lease with a great company. No regrets. Veronica, No regrets?! We are SO happy you chose to stay with us next year! We are ecstatic to hear that the tam was able to assist you during the lease signing process, as we understand it can often times be a little confusing! Please let us know if have questions moving forward, and we'd be happy to assist you in any way we can. We look forward to seeing you this summer. Feel free to follow us on social media to keep updated on our upcoming events! This is a great place that is very close to Texas A&M and Northgate. The style of the apartments are awesome and very unique. All the employees are very friendly and always giving out free stuff. Bailey, Thank you so much for taking the time out of your busy day to leave us a review! We are so happy that you think we deserve five stars! Please feel free to reach out to the front office if you ever need anything! Also, make sure to follow us on Facebook, Instagram, and Twitter to stay up to date on our upcoming resident events! Great apartment complex, staff is polite and helpful, they know what they are doing, work orders generally get looked at within 24 hours. Great location and nice apartments I have no complaints. Wolfgang, Thank you do much for taking the time out of your day to leave us a review! We are so happy to hear that you have enjoyed your stay with us this last year, and chose to renew with us this year!! Please feel free to reach out if you ever need anything, we're happy to help! You can reach the front office at 979-268-4780 during office hours, or email me directly at beverly.lemaire@assetliving.com. The staff at W&F is very friendly and always looking to try new things. It seems like they are constantly providing snacks and giveaways to the residents here. Michael, Thank you for your valued input. Customer service is very important to us here at Warehouse and Factory, and we are pleased that you have noticed. Please feel free to reach out if you ever have any questions or concerns, and we'd be happy to help in any way we can. Also, make sure to follow us on social media and check your email to make sure you're updated on when we're hosting our resident events!!! Beautiful place and staff are nice. All issues I've had have been resolved in a timely manner and any questions I've had have gotten answers. Love it here. Samantha, we are so excited you love living here! We LOVE having you as a resident. Make sure to regularly check your email so you'll know when we're hosting our weekly resident events! Please feel free to reach out if you ever have any questions or concerns! Overall has been very good. New management is responsive. My only issue was that my apartment was filthy and had fleas when I moved in back in August; however, this was quickly remedied. The location on the apartment is ideal because it is close enough to campus where you can either walk or rider the bus! The apartment building itself is very clean and has a welcoming feel to it. There are many opportunities to interact with other neighbors and with the staff through events put on by the staff. I can never hear my neighbors so there’s no complaint there. There are two things in which I don’t really like. The first, since it’s close to campus that also means that it’s close to all the bars and clubs which leads to loud weekends and some weekdays. Also parking for visitors/ guests is very limited because they either have to pay to park in the parking garage or they can park for free in the metered spots after 5 on certain days. Other than those 2 things, this is a great, affordable place to live! 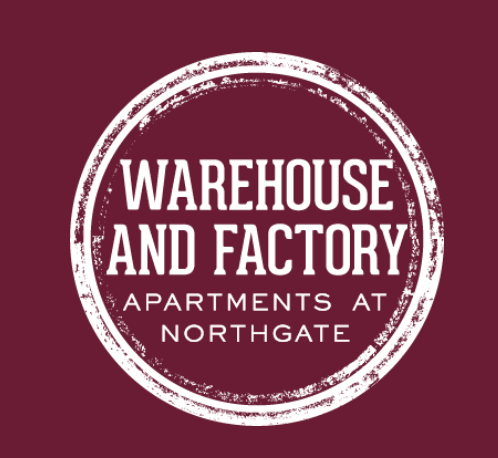 I have had a great experience living at the Warehouse and Factory Apartments. The staff is friendly and helpful at all times. They have met all our concerns. Maintenance is speedy and has done a great job the 3 or 4 times we have requested maintenance. Overall, great experience. Keaton, Thank you so much for you valued input. We are so happy you enjoyed your stay with us this year, and even more excited hat you chose to live here again with us next year! Make sure to follow us on social media and check your email for invites to our resident events! Please feel free to reach out to the front office if you ever have any questions or concerns, and we'd be happy to help in ay way we can!! Good apartment, good price, good location, good administration, they always try to help we you have a necessity, and there are a lot of activities for residents. Great experience living here. The community is good. Our staffs are all great people and are all very patient. The room is so big that I pretty enjoy the time in the dorm. Thank you for your feedback. We are so happy to hear that you are enjoying your stay here at Warehouse and Factory! Make sure to follow us on social media and check your email to stay updated on all of our specials and resident events! I really enjoy living here. They don't try to sell you on a bunch of useless amenities, but instead offer great units at a great location. Staff is nice and helpful and puts on good events as well. Jack, Thank you so much for feedback. We are so happy to hear that you are attending and enjoying our resident events! Make sure to follow us on social media to keep updated on our weekly events! Please feel free to reach out if out to the front office if you ever need anything. You can reach us at 979-268-4780. The warehouse and factory is a great place and I have enjoyed my time here. The maintainence is quick and they do their job efficiently and effectively. So excited to live here again! The staff, neighborhood, and community are perfect! and the walk to campus is a breeze! Favorite part of my apartment is definitely the spacious kitchen. I live in a one bedroom on the third floor and I love it. There’s a blue accent wall behind my tv! The appliances are really nice and the place is just perfect for me and my dog! I have loved living here because of the location and the staff is very friendly. I wish the gym had more equipment but it is still pretty good. The hot chocolate machine is nice too. We enjoy having you here. We have been actively working on making improvements for our residents and are happy to see that they're being noticed. Please stop by the office and let us know what equipment you would like to see in the gym We appreciate you taking the time to give us positive feedback and we look forward to many more good experiences. Besides when I moved in with the old management company, I have had an amazing experience living here. The unit is amazing, the location is perfect. No complaints. It has been wonderful living here. I live In a 2 bedroom, 2 bathroom apartment. The bedroom, bathroom, and closet is very spacious and big! Friendly Staff, great location, cool interior. Poor maintenance during rain, my apartment and the hallways always flood. Walls are paper thin. Thank you so much for your kind words. Resident satisfaction is very important to us so we will be taking your feedback seriously. Please let us know if there is anything we can do to help you continue to enjoy your home. Great location with spacious room. Not a dorm-like apartment and not a lot of noise. The community areas has gotten a lot cleaner than before. I wished a better deal for renewals. .The apartment is very nice, mostly quiet, and feels safe. It has nice utilities and the furniture is not old. The management is very nice!. Good place to live. A lot of dogs in the building, pet welcome. The noise for the washing and dry machine is little bit noisy. Over all, it is good choice near the campus.